Part 2 of a video interview with 2-time national coach of the year Wally Goodwin. 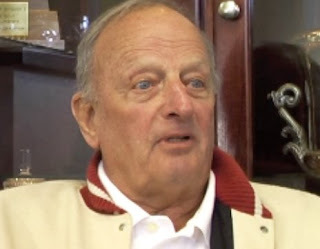 Wally talks about the keys to turning Stanford into a great program starting with bringing in players such as Christian Cevaer, Casey Martin, Notah Begay and then Tiger Woods among others. This interview includes discussion of his national championship team in 1993-94. Wally was 80 in Nov 2007 when this interview was conducted by Dr. Lyman Van Slyke, Bob Stevens and Rich Peers.